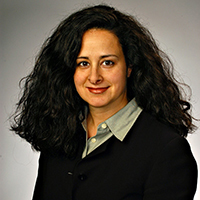 Deborah is a Director with Ernst & Young LLP (EY) serving as the US and Americas Data Protection Leader. Deborah is responsible for the operation of the data protection program inclusive of US, Canada, Latin America, the Caribbean and Israel and also provides strategic input for the operation of the Global Data Protection function as a core team member of the Global Data Protection Leadership team. Data protection key responsibilities include policy development and guidance, data protection impact assessment (PIA), Privacy Shield, HIPAA, GDPR and Binding Corporate Rules (BCR) compliance, learning and awareness programs, incident response and accountability processes and management, and the data protection monitoring and auditing program. Leveraging her 20 years’ experience in ethics and compliance, Deborah is also an executive leader within the EY Americas Risk Management, Ethics and Compliance functions where she provides directional guidance for the program. Previous to her current position, Deborah was a leader in EY’s national compliance advisory services practice where she helped clients assess, implement, improve and monitor the effectiveness of their ethics, compliance and data protection programs. Her clients included a variety of industries including healthcare, financial services, and government agencies. Deborah’s client work included conducting corporate ethics and regulatory risk assessments, including enterprise risk management (ERM) and then implementing ethics and governance compliance programs including learning and awareness, and regulatory compliance data analytics program monitoring including eGRC (enterprise governance, risk and compliance) solutions. Deborah received her Bachelors of Arts from the University of Pennsylvania. She is a certified ethics and compliance professional (CCEP) through the Society of Corporate Compliance and Ethics as well as a certified information privacy professional (with CIPP, CIPM, and FIP designations) through the International Association of Privacy Professionals. Deborah is the author of “Compliance Program Effectiveness” Published by Aspen Publications, “What You Should Know About Screening for Excluded Individuals and Entities”, published by Commerce Clearing House, "Look for Compliance Risks Hiding in the Registration Form" published by the Physician Practice Compliance Report , "Evidencing Effectiveness of Your Compliance Program" published by The Compliance Officer and “Broken Windows in Compliance” published by the Society for Corporate Compliance and Ethics. Deborah speaks regularly at various conferences. In her spare time, Deborah is an avid baker and writer and volunteers in the community and her church. Can You Trust Your Autonomous and Intelligent Systems?